Thanks to KYY for JAKS. 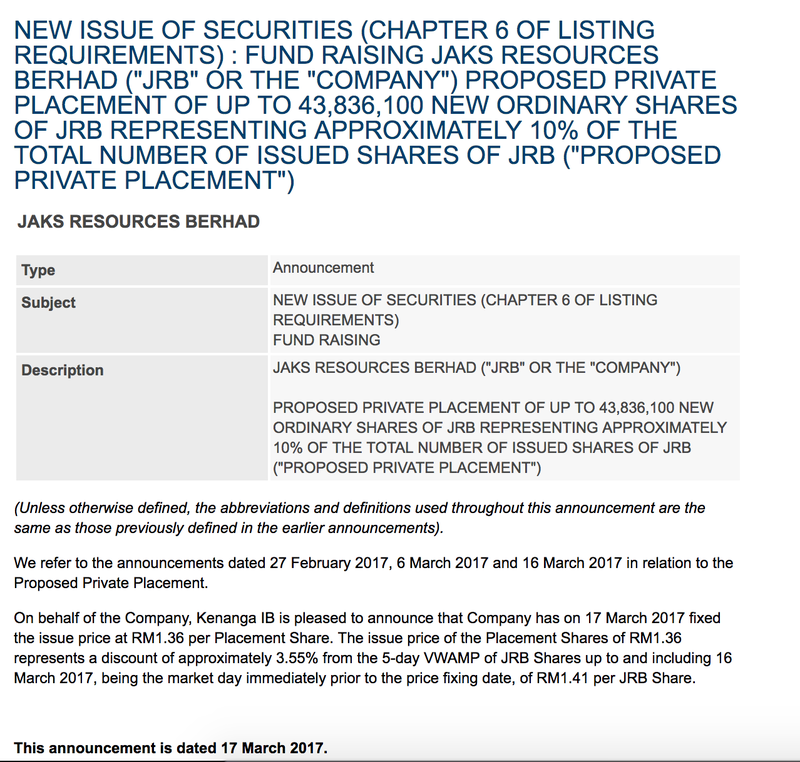 At the very least he has managed to get the management of JAKS to issue a private placement at a better price for the current shareholders. He is not the minority anymore as the latest announcement is that he and his wife owns now close to 26% of JAKS. I believe at RM1.36, he is getting his money worth assuming that JAKS's Private Placement is fully subscribed. In this round, he has managed to get the management to take care of the smaller guys.